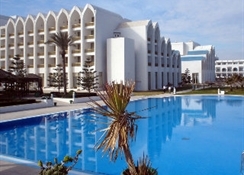 Located in Sousse beach in Tunisia, the Amir Palace hotel is only 7 km away from the city centre and 3 km away from SkÃ nes-Monastir International Airport.-On their way to the hotel's private sandy beach, guests can walk through the beautiful palm tree gardens while listening to the soothing sounds of the water fountains and then relax and sunbathe on the lounge area by the sea. This resort is perfect for couples and families with children who wish to experience the Moorish culture and hospitality.-The hotel spa features a hammam, sauna and jacuzzi and offers a variety of massages and treatments. 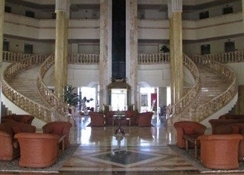 Guests will also enjoy the outdoor and indoor swimming pools and the fitness centre. There are also plenty of entertainment activities for children at the mini club. 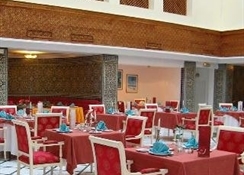 At the hotel's restaurants, guests will be able to taste Tunisian delicacies and International cuisine. 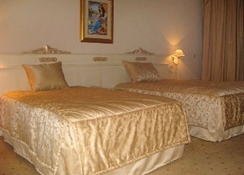 This hotel is perfect for those looking for luxury and style with exclusive facilities. 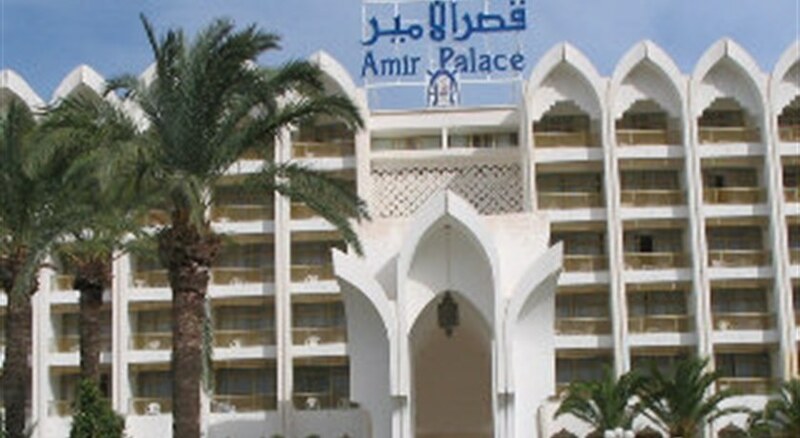 The Amir Palace features both a beautiful outdoor pool and a heated indoor pool giving you plenty of choice. Guests at the hotel can also relax on the outdoor terrace and also have access to the private beach providing some great places to enjoy the sun and work on your tan. The 355 elegant and spacious guest rooms at the hotel include a choice of 344 comfortable standard double rooms and also 11 even more spacious family size rooms, all of which come with a complete separate bathroom and a balcony with view over the pool, garden or the sea. 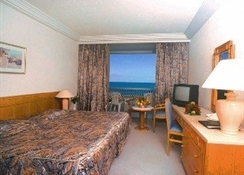 All of the rooms offer guests every comfort with all the amenities you would need including: cable TV - safe deposit box - telephone - hairdryer.Please note: Due to limited power resources which the government controls, air-conditioning is only allowed to be run from mid-June to mid-September. 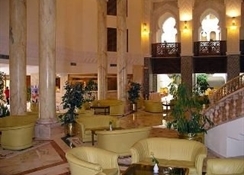 There is a choice of restaurants at the Amir Palace all offering a wide selection of Tunisian and international cuisine, which includes the main restaurant that can serve up to 700 people open for breakfast, lunch and a buffet dinner service. Other options include the a-la-carte restaurant "Al Hambra" serving Mediterranean cuisine and there is a barbecue grill open from June to September. For lighter dishes, a range of drinks and international specialties there is also a coffee shop open throughout the day.